Discussion in 'NGT48 Kenkyuusei' started by ForrestFuller, Jun 12, 2018. Message: I would like to have fun with everyone! Please come and see me. 2ki trans from AKB Janken magazine..
She looks up to Mayuyu and she looks like Mayuyu. 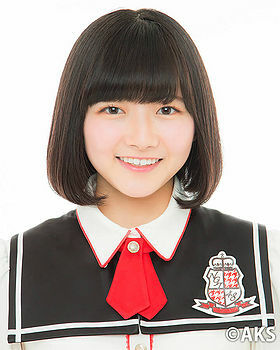 Runchan's NGT48 activity paused cause of her violations toward the rule? Rather than being suspended, she(or her parents) actually "self-suspended" herself after reporting to management. It's official, she withdrew. After such a long hiatus I kind of saw it coming but I'm still pretty sad because I really love 2ki. On this occasion, I, Hagiri Runa have decided to withdraw from NGT48. I am really sorry for having kept you waiting and having it all end in an announcement like this. Even though I was only there for a short time, I got to stand on stage, participate in handshake events, do social media, meet fans and receive lots of support, my activities as an idol were like a dream. I also got to experience lots of other things, such as acting, radio and television. Activities like this, to me who has always looked up to idols, were really special and happy times. This was all thanks to the fans who supported me, the 2nd generation members and staff members. I am thankful to everyone who did a lot of preparations, gave me their time, came to see me, made me feel warm, gave me warm words. I am very thankful for all the feelings of everyone involved. I wanted to experience and feel more things as an idol, but decided to think about my future and walk a different road. From now on I would like to challenge new things and have a lot of different experiences and become an adult who can value important things. Lastly, thank you for all the happiness until now. As posted by ysa73 in the general thread, she has resigned. Note: google leaves out her name, but it is in the original. It's a shame, for me she stood out from the other KKS members because of her resemblance to Mayuyu and I was hoping to see her progress in the group.